BORONGAN, Eastern Samar – Congressman Ben P. Evardone expressed his doubts over the report of Energy Secretary Rene Almendras which said among others, that as of July 31, 2010, 100% already of the barangays in Eastern Visayas had been energized. In an interview, Evardone said that Almendras report during the recent budget hearing in Congress drew several disbelief among them, lawmakers from Region 8. According to him, he cautioned Almendras that he might had been fed with wrong information because in his province, he said, not all barangays have the electricity which other Congressmen have likewise seconded. “Of the 597 barangays in Eastern Samar alone, I know there are still 85 which are not yet energized,” Evardone echoed his report. “That is why it is not correct for Sec. Almendras to claim that 100% of the barangays in Eastern Visayas had been energized. He said he also argued that far-flung barangays with installed Solar panels could not be considered energized because usually, there is only one bulb found at the barangay plaza and three others in the streets and none inside the houses of the barangays. The Congressman said that the DOE report resulted in Department of Budget and Management’s (DBM) scrapping some P2B budget from their proposal, because logically, he said, where else would the money be spent for, vis-à-vis fully energizing the country, when DOE have already reported a 100% performance. Evardone said, he also urged the DOE officials to not only focus on the sufficiency of power supply but also on lowering the power bills. “Reducing the power rates would not only alleviate the financial burden of our people but also we can attract investors to the country”, Evardone stressed. He added that these investors look at long-term projection of their businesses, and if the country’s power supply would remain unstable, investors will be discouraged to put up money for business in the country. Evardone, who served two terms as Eastern Samar governor said he is looking closely at the ongoing budget hearings in Congress, and seeing what the Departments could help to his District. TACLOBAN CITY – Preparations are ongoing for the October 2 massive Philhealth registration in Region 8, Department of Health Director Edgardo Gonzaga informed. Director Gonzaga said that the nationwide registration is in response to President Benigno S. Aquino III’s marching orders to attain universal PhilHealth coverage in three years. Director Gonzaga said that the Department of Health and Philhealth have targeted the registration of 55,300 new members region-wide, especially the poor and the marginalized. On the other hand, the low income as well as those without the means to pay will benefit from sponsorships where the national and local governments and other sponsors shoulder the premiums for their annual coverage. CAMP LUKBAN, Catbalogan, Samar – The Army’s 34th Infantry Battalion encountered some 50 armed members of the terrorist New People’s Army (NPA) in the boundaries of barangays Caranas and Hinacaan of Motiong, Samar at 5:00 Friday morning. Report reaching this headquarters from 34IB disclosed that Corporal Michael Angel received a report from undisclosed civilian that armed men wearing tapita clothes are frequently seen loitering in the outskirts of said barangay. The presence of the said armed group caused terror and uneasiness to the populace in the locality. With the desire to address the threat brought by the said terror group and to defend the civilians, elements of 34IB conducted security patrols within the periphery of that barangay and its nearby sitios. This resulted to an encounter between the troops and the enemy that resulted to the killing of one enemy and the recovery of a camouflage backpack and one (1) upper hand guard of M16 rifle. One soldier was also reported to have been killed in the said encounter. Lt. Col. William Peñafiel, 34IB’s commanding officer commended the heroism of his fallen troop and said that risking lives is just part and parcel of the military profession for the people to continuously enjoy their right to live. “Soldiers never die, they just pass away. We will be surely missing him but his acts of courage and commitment to duty will always remain in the memories of the people he has served. We share in the sorrow felt by his family and loved ones and we will never forget his act of heroism and the invaluable contribution he made in service to our country and people”, says Lt. Col. Peñafiel. Meanwhile, Major General Mario Chan, the 8ID’s head, expressed his appreciation to the concerned individuals and civilian who relentlessly supported the efforts of their Army to ultimately attain peace and development in the province. He further directed the troops to continuously pursue the fleeing enemy in order to fully to liberate the area from the CTs influence that would pave the way for the attainment of the lasting peace and development. TACLOBAN CITY – In line with President Benigno S. Aquino III’s framework of governance, which demands a shared vision, and harmony of actions in bringing about desired development outcomes, the Department of Interior and Local Government has issued on August 31, 2010, a memorandum circular calling transparency in all local government units. In his Memo No. 2010-83, Secretary Jesse Robredo reminded the local government executives that Section 22 of the Local Government Code of 1991 requires the posting within 30 days from the end of each fiscal year in at least three publicly accessible and conspicuous places in the local government unit, a summary of all revenues collected and funds received including the appropriations and disbursements. Secretary Robredo also reminded about Republic Act 9184 known as the Government Procurement Reform Act that call for the posting of Invitations to Bid, Notice of Award, Notice to Proceed and Contracts Approved in the procuring entity’s premises, in newspapers of general circulation, Philippine Government Electronic Procurement System and in the procuring entity’s website. The declared policy of the State to promote good local governance also calls for posting of budgets, expenditures, contracts and loans and procurement plans of the local government units in conspicuous places within public buildings in the locality, in the web and in print media of the community. The President directed all government agencies both national and local offices to end luxurious spending and misappropriation of public funds and to expunge mendacious and erroneous projects. In his first SONA, President Aquino directed all government agencies to end luxurious spending and misappropriation of public funds and to expunge mendacious and erroneous projects. They are directed to post information and statements of their CY 2010 Annual Budget, Quarterly Statement of Cash Flows, CY 2009 Statement of Receipts and Expenditures, CY 2010 Trust Fund (PDAF) Utilization, CY 2010 Gender and Development Fund Utilization, CY 2010 Statement of Debt Services, CY 2010 Annual Procurement Plan or List, Items to Bid, Bid Results on Civil Works and Goods and Services and Abstract of Bids as calculated. The Memo called on DILG directors to monitor and to ensure the compliance on the said directives and to report to the DILG secretary the Compliance Report not later than September 27. Did housing execs get condo units from Globe Asiatique? QUEZON CITY – Did former housing officials, including then members of the board of trustees of the Pag-IBIG Fund, receive condominium units from Globe Asiatique Realty Holdings Corp., the developer linked to what appears to be the syndicated diversion of the proceeds of fraudulent home loans granted to "ghost" borrowers? Cavite Rep. Elpidio Barzaga Jr. raised this question Friday, as he pushed for a full-dress congressional inquiry into the Pag-IBIG loans obtained by non-existent borrowers to acquire property at Globe Asiatique's Xevera projects in Mabalacat and Bacolor, both in Pampanga. Barzaga said his office had received information that a number of former housing executives allegedly got residential units from Globe Asiatique, particularly at the firm's 30-level GA Twin Towers along EDSA in Mandaluyong City. "This has to be verified right away by congressional investigators and the new Pag-IBIG management," Barzaga said. "If the allegation is true, then we have to find out how they (former housing officials) acquired the properties. Whether they got the assets for free, or at a discount. Or if they bought the units using their own money," he said. "If they purchased the units, then they should have the documents to prove not only that they actually paid for the properties, but also that they had the lawful income to support the payments. Of course they should have also declared these assets in their annual filings," he added. The GA Twin Towers was one of Globe Asiatique's early joint housing development projects with Pag-IBIG. Barzaga said he had nothing personal against the owner of Globe Asiatique or the former housing officials. He stressed the need for Congress to protect Pag-IBIG funds, which he said represent the hard-earned contributions of public and private sector workers. "This is all part of our mandate. We just want to get to the bottom of the syndicated fraudulent housing loans, plus Globe Asiatique's P1-billion worth of unpaid obligations to Pag-IBIG," he said. According to Barzaga, the unchecked grant of fraudulent loans was a key factor that caused the recent home mortgage debt crisis and the eventual collapse of America's housing market, that in turn set off a global financial meltdown. "But in America, they at least actually had real persons who borrowed the money to buy the homes, either to occupy or for investment purposes. There was fraud only in paperwork compliance, since it turned out that many loans were granted even to persons who did not have enough income," he pointed out. He added: "With respect to the Pag-IBIG loans in question, they had borrowers that did not exist at all. So where did the all loan disbursements go?" Barzaga expressed alarm over the breakdown of internal controls at Pag-IBIG. "Either the checks (against potential fraud) failed, or there was connivance by Pag-IBIG insiders," he said. 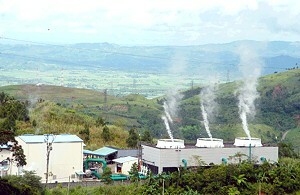 TACLOBAN CITY – Leyte Governor Carlos Jericho L. Petilla disclosed that all the governors of the various provinces in Eastern Visayas are now seriously contemplating on putting up own power-generation plant harnessing the geothermal power plant in Tongonan, Leyte, in order to solve the power problems in the area. It was learned that the continuing privatization of the power industry sector including the power plants and ancillary services has brought power concerns to the host region. This is one of the options the region has if at all it cannot get sustainable power from various companies, Gov. Petilla said, adding that this idea has already been suggested to other governors of Region 8, and they are all open to it as an option. Governor Petilla who was recently nominated to chair the Regional Development Council of Region 8, said that in order to brace from the looming power shortage, the Region must exert efforts to set up its own generating plant. It was learned that before announcing this plan, the Governor who was with the business sector before he became Governor of Leyte, has already conducted studies and made preliminary talks with the right people, both from the government and from the private sector. However, Governor Petilla said this plan will depend on the outcome of the commercial operations in the Visayas of the Wholesale Electricity Spot Market (WESM) this coming September 26. Through WESM, which will be operated by Philippine Electricity Market Corporation (PEMC), power can be bought through bidding to the highest buyer. The law has mandated power utilities particularly the distribution firms, to source at least 10 percent of their power requirements from WESM, where big power suppliers cut deals. QUEZON CITY – The human rights alliance, KARAPATAN, dismissed current AFP proposals for "people's participation" in counter-insurgency operations as it revealed grave human rights violations in the on-going AFP military campaign in Brgy. Mahaba, Marihatag, Surigao del Sur. About 164 families with 754 individuals, including 98 children ages 0 to 5 years old and seven pregnant women, in three sitios of Palompon, Boringon and Loknodon of Barangay Mahaba in Marihatag, Surigao del Sur province, Mindanao, were displaced as a result of the military operations under Oplan Bantay-Laya extended by Pres. Aquino. Troops of the 36th IB PA under Battalion Commander Lt. Col. Rene Canete and elements of the Scout Rangers; Surigao del Sur under PNP Director Quinonez conducted the local operations. Last August 22, Marihatag local government officials initiated a dialogue between the residents and the government forces. The commanding officer of the 36th IBPA, Lt. Col. Rene Canete and 1Lt. Serihim Temperante, attended the dialogue as well as the barangay council members of Brgy. Mahaba. The residents pleaded with the soldiers to leave their community but they refused citing the National Government’s anti-insurgency campaign as justification of their presence. Barely a week after the residents returned to their farms, on August 26, eight Marihatag residents, including a minor, were illegally arrested, detained and tortured by troops of the 36th IB PA. Arrested were Salvador Dayola, Josemar Dayola, 14-year old son of Salvador and a grade 6 student, Rolan Salamangka, Junry Kileste, Elly Ambongan, Dimuel Kileste, Bryan Udtohan and Rymon Alameda. At gunpoint, they were interrogated, hogtied, dragged and tortured. The soldiers beat them up, stomped and; with their combat boots on, walked on the victims’ backs, exposed them to the rain, made them eat spoiled food, covered their heads with plastic bags and choked them; these while being forced to confess where they allegedly hid firearms. Salvador's son was threatened to be buried alive or be dropped from a helicopter in flight. The interrogations went on for five hours before the victims were released. On 31 August, the Marihatag Municipal Peace and Order Committee (MPOC) met. Concerned church people and some evacuees attended the session with Lt. Col. Rene R. Canete, Battalion Commanding Officer, 36IB PA; 1Lt. Serihim Temperante, 36IB PA, 1Lt. Charlynne C. Gabatin, 36IB PA; Katrina M. Cruz, 36IB PA of the AFP; Provincial Administrator Efren Rivas as Surigao del Sur Provincial LGU representative; members of the Provincial Disaster Coordinating Council (PDCC), Provincial Social Welfare and Development Office, Marihatag Municipal LGU representatives and Brgy. 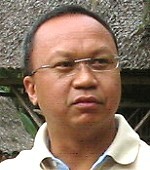 Mahaba LGU officials. Representatives of the evacuees asked the soldiers to allow them safe passage so that they could save more of their properties and farm animals but the military refused to allow them. Last September 3, evacuees tried to transfer to the Provincial Capitol in Tandag City but were harassed and forced to turn back by combined forces of the local PNP and the 36th IB PA.
At the evacuation center, there is an outbreak of chicken pox and conjunctivitis while 60 patients, mostly children ages 0-6 years old have been treated for diarrhea, upper and lower respiratory diseases and fever. There is a shortage of food, especially milk for the children, clean potable water, essential medicines, medical services and sanitation facilities. “The military’s plan to conscript citizens into its counter-insurgency operations is a dangerous move to distort public perception, project the military as human rights advocates while violating the people’s rights and deceive the people that the military observes respect for human rights during these operations,” expounded Marie Hilao Enriquez, Chairperson of Karapatan. “The public must be educated on the reality of military operations going on in the rural areas outside town and urban centers like those in Marihatag, Surigao Del Sur and in the villages of Negros Oriental and in other areas targeted under the OBL,” added Enriquez. Karapatan and local rights defenders continue to assist the evacuees as it called on Pres. Aquino to stop the counter-insurgency operations. “We exhort the public NOT to be deceived by these supposed plans and acts of the AFP in winning the public’s trust to allow them to go on with the brutal counter-insurgency campaigns,” concluded Enriquez. TACLOBAN CITY – The Tanauan riders once again showed their dominance in the skimboarding water sports as they ran away with the choicest prizes at the Borongan Skimboarding Competition held on September 5, 2010. For the third time in just one week, the skimboarders of Tanauan, Leyte once again brought home the bacon. The first was on August 29 when Leo Espada became champion at the Palm Beach first Skimboarding Competition in Hongkong. The second was on August 29 when another Tanauan skimboarder won the Zambales Challenge in Iba, Zambales. CAMP LUKBAN, Catbalogan, Samar – The 20th Infantry Battalion of the 8th Infantry Division encountered several NPAs at around 9:40 in the morning of September 8, 2010. The Spot Report reaching this Headquarters said the encounter happened during the conduct of combat operations led by 1lt. Florencio G. Tayo of the 20IB. The encounter occurred in the vicinity of Barangay E Duran, Municipality of Bobon, Northern Samar involving an undetermined number of local terrorists (LT’s). The encounter with the local terrorists was approximately an hour of ferocious exchange of fire, until the said Army troops gained control of the situation, which resulted to one (1) enemy killed, one (1) enemy captured, and the recovery of one (1) M14 rifle, after which the local terrorists (LTs) withdrew towards different directions. In this light, in a statement after the encounter, Lt Col Jose Narciso, Commanding Officer of the 20IB assured the public that his unit will continue to work on the good relationship with the civilian populace in order to put an end to the local insurgency in the said area. LtC Narciso added that this cooperation with the populace is not merely for the interest of the military, but more for the good of the people of Northern Samar. Meanwhile, the Commander of the 8th Infantry Division, Philippine Army Maj Gen Mario F. Chan, AFP, expressed his heartfelt gratitude and elation to the civilians who tipped the information. In addition, Maj Gen Chan lauded his troops for a job well done and for exerting every effort and dedicating their lives in the accomplishment of the mission of the 8th Infantry Division. Likewise, the Commanding General of the Philippine Army Maj Gen Arturo Ortiz, AFP sent his congratulations and thanks to 8ID for a job well done and also enjoined the troops to continue on its zeal and enthusiasm to curb the insurgency in the area of operations. BORONGAN, Eastern Samar – Eastern Samar Provincial Hospital (ESPH) is now admitting patients to the emergency rooms with free medical needs. Launched recently in a simple ceremony at the ESPH, the program “Go Aklan Para sa Kalusugan” aims to alleviate poor patients of their financial burdens as they submit for medical treatment. Vice-Mayor Gil Norman Germino, Provincial Focal Person for Health said that unlike in the past, when emergency patients had to buy cottons, plasters, needles, gauze even paracetamols even as the need was urgent, today, with the program of Governor Conrado Nicart, Jr., ESPH will shoulder these basic needs. In his message, Gov. Nicart stressed however, that only in the emergency rooms will patients have to get free drugs and other needs, but as he is transferred to the ward, the billing starts. He said that the program which will run for three years is never for political purposes but in the service for the poor. “Dire in pamulitika kay nag-daog na ak, it ak la nga makapagserbisyo kita kay asya man it ginlalauman hit at mga tawo. Dire daman in sugaron nga nasunod la ak kan Vice-Mayor Germino, kay hi ako it nasumat ha iya kun ano it maupay buhaton. Ginbuburubligan namon ine sugad hit iba nga mga programa ha probinsya”, pointed Gov. Nicart. He appealed to the doctors and nurses present to always man the wards. “Unta, regular nga susudoyon it at mga wards hin mga taga hospital, kun mahihimo la, magtulo ka shift, hin tag-walo ka oras it at mga nurse, kay makure daman ngin pirmi pirmi nala daman it usa ka tawo nga asya it magjejenuti. May mga adlaw nga makakanhe la ak ha hospital, dire ko karuyag kitaon nga wara otoridad hit hospital nga na-duty ha mga ward”, the Governor added. Asked what these medicines are which will given for free at the emergency room, Dr. Mac Felicen said that these are the first line medicines, i.e. pain medicines and anti-bacterial and other basic needs. Mrs. Mabel Bugtas, the nurse on duty during the interview also clarified that even well-off patients can avail of these emergency grants at the emergency rooms.